Reverse Eyelashes. Yay or Nay? The trend for bizarre make-up and original beauty procedures don’t have limits. We’ve already had succulents attached to our fingernails, nail polish that tastes like KFC chicken, perfumes smelling like cat and glitter on the hair roots. Recently, we could marvel at new beauty ideas and among them Reverse Eyelashes. Where and how are we going to attach them? Feel invited to read my newest entry. How to attach false eyelashes? This question is asked by all the women who would like to zinc up their make-up. As it turns out, attaching false extensions isn’t that easy. Surely, we have to choose their size, colour and degree of curl, and this may confuse us right at the beginning. Moreover, we have to remove make-up precisely and select only hypoallergenic adhesives. Another crucial issue to mention, before the procedure starts, it’s recommended to check the instruments for their sterility as well as examine how clean the office is. And the most important, which eyelashes to choose: individual, clusters or stripes? 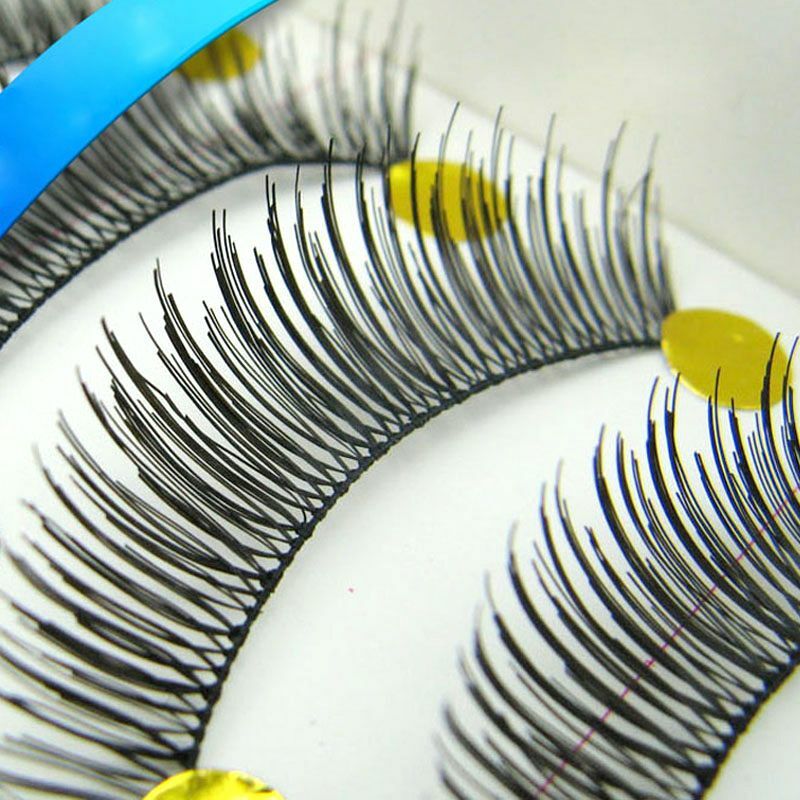 Basically, the kind of eyelashes you want to wear determines whether you can attach them themselves or if you have to make an appointment with a beautician. When you go for the second option, you have to remember that the procedure lasts a few hours, is rather expensive and not always comfortable. Have you ever wondered that maybe it is a good idea to follow the trend and choose Reverse Eyelashes? In short, this procedure depends on attaching false eyelashes to the lower eyelids. At a first glimpse, it may seem a little bit weird. However, after giving a second thought, I bet each of us is going to see sense in this method. First of all, the procedure itself isn’t changed. You’re going to need exactly the same tools which you would use to classic false eyelash attachment. But how to apply make-up with reverse eyelashes on? Basically, you just have to do a regular make-up, which means that you should apply eye shadows and a mascara as regular. Voilà! In my opinion, this trend is perfect for a dressing-up party or some crazy night-out. I just wonder whether you girls will be brave enough to go out with such a make-up out of the party season? The choice is yours. As far as I am concerned, girls who eagerly apply such make-up enumerate two arguments (personally, neither of them helps me change my mind). Firstly, Reverse Eyelashes solve the problem of coating with a mascara the low eyelashes; and many women have problem with that. Secondly, long false extensions attached to the upper eyelashes hide the make-up of the eyelids. What do you think about this trend? I’m waiting for your comments.